Panaji: Three women doctors here have pledged to donate their organs as a part of an initiative launched by the Indian Medical Association’s (IMA) Goa branch. IMA Goa branch president Medha Salkar and two other medical practitioners, Kalpana Chodankar and Kartavi Mashelkar, pledged their organs during the launch of an online registration facility for organ donors in the state. “Already 50 people, including a foreigner, have registered with IMA’s Goa unit website. There are lot of non-doctors who have pledged their organs,” IMA’s senior member Shekhar Salkar told PTI. 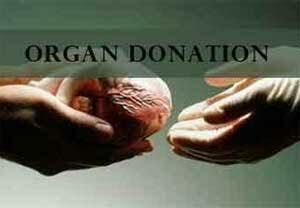 He said IMA has decided to form various groups across the state to create awareness about organ donation. The IMA has already made a presentation before state Chief Minister Manohar Parrikar requesting the government to formulate a proper procedure to set up a licensing authority to harvest the organs, Salkar said. “Pledging an organ is just one of the steps. We also have to know how many patients are waiting to get the organs,” he said. The IMA, in its representation before Parrikar, said that certain guidelines need to be formulated to decide who should be given priority for organ transplantation, he said. “Once the organ is removed from a brain dead person, it becomes a property of the state. It is for the state to decide who should get it and there are certain criteria to be followed to do so,” Salkar said.